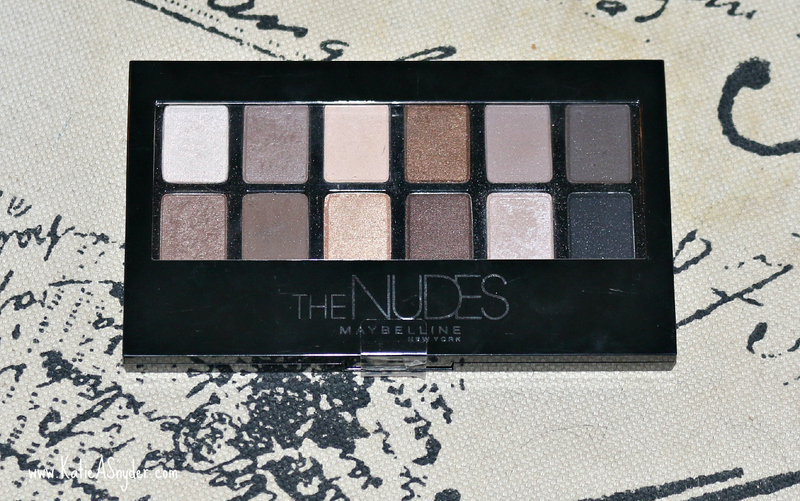 Back in December I purchased the Maybelline Nudes Palette and can honestly say I have used it everyday since, so I thought I would give you guys a review on it. 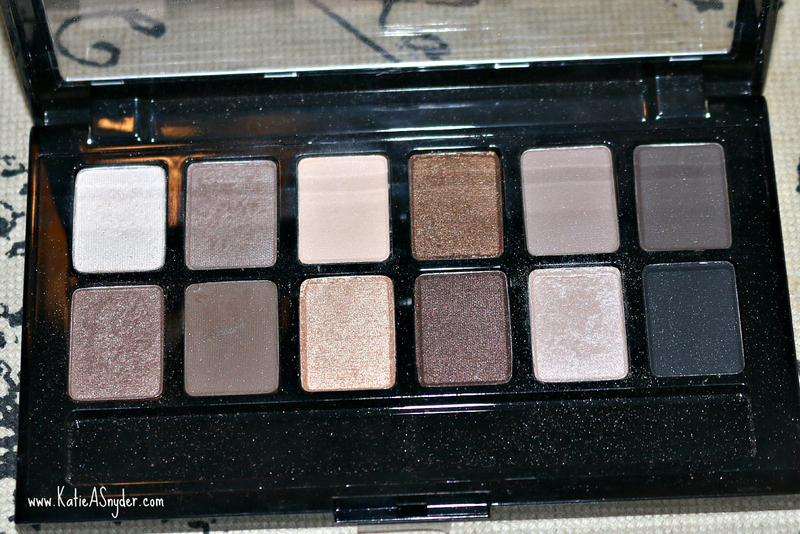 As you can see there are 12 shades in this palette, there are 6 matte and 6 shimmer, for me this is a huge bonus to any palette, if there is one thing I cannot stand about an eyeshadow palette is when it has 11 shimmers and 1 matte, because as we get older shimmer shadows can make you look even more older as well as when you are going for a more subtle natural look it helps to use matte shadows. 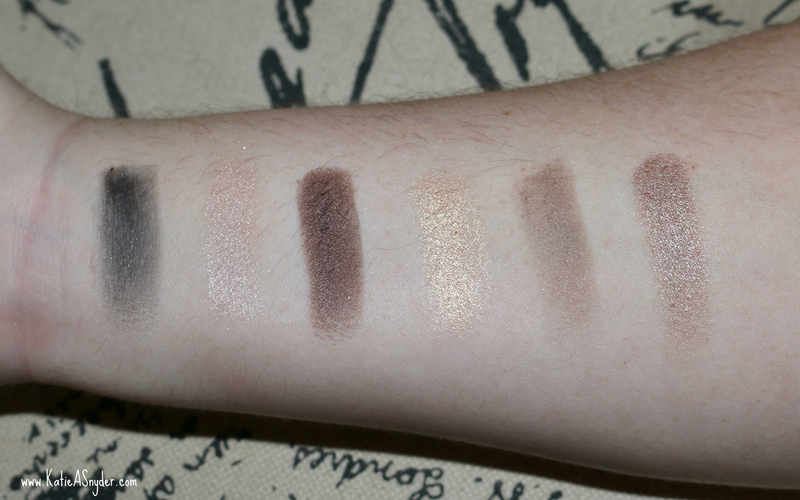 The color payoff with these shadows is really good, I always prime my eyes with a concealer and powder and then use my shadow, some shadows need a ligit primer to stay on as well as to keep from creasing. These ones work fine with the concealer/powder combo, they last all day, don’t crease and don’t fall down. Speaking of fall down, don’t you hate when you buy an eyeshadow that seems to powder everywhere, sometimes it seems like all you do is touch your brush too it and the whole thing crumbs, well not with these ones, they are not over powdery, as well as they don’t have a lot of fall down, I have never had to go over my foundation after applying my shadow. And the color payoff is amazing as well, you will not have to continue to go back for more product over and over 1-2 times will be enough depending on the look you are going for. 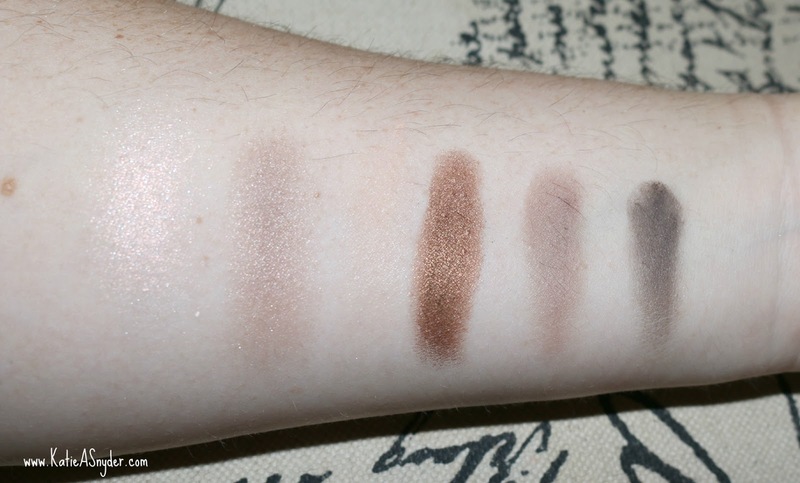 My first complaint on this is the fact that they didn’t label there shadows, I know a lot of you will say, “it doesn’t matter if it’s labeled or not”, but to me it does, I cannot tell you how frustrating it is to have similar colors packaged together with out a name so you can’t remember what color you used yesterday to create that amazing smokey eye. Or for someone like me who uses it on clients and youtube, I need to be able to tell you guys and write on my client cards what I’ve done. The next one on this list is the lack of Cool colors, for me it isn’t a huge problem because I tend to use warm colors, but for people who prefer cool colors and only use cool colors this palette would be a total waste for them as there are only 2 colors that could be considered cool, the Icy White (first color top row) and the Jet Black (last color bottom row). When I noticed the lack of cool colors it instantly made me think of Anna SacconeJoly because she has talked a lot about her love for cool colors and trends to only use that. 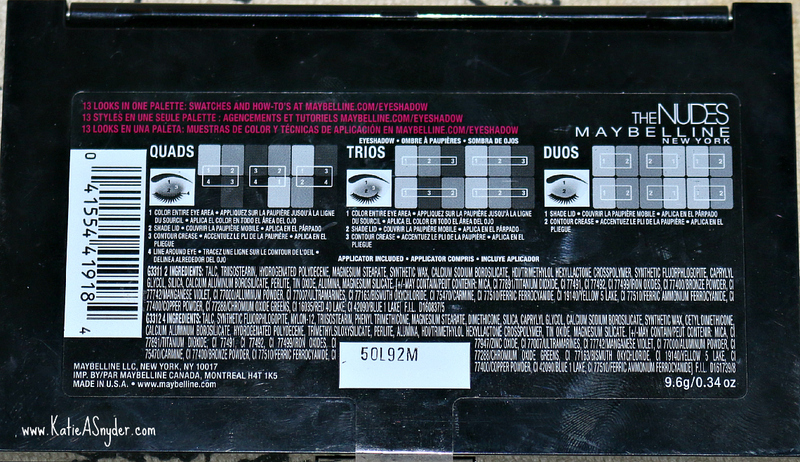 I feel like this should not have been titled the Maybeline The Nudes Palette, and should have been called Maybelline The Warm Palette, and then they could have done a Maybelline The Cool Palette, which would be very similar to what MAC Cosmetics did, but WAYYYY cheaper. My all in all conclusion is its an amazing palette for $11 and for anyone who likes warm colors. If you would like to see my full video review for this you can find it here.